This post was originally published by Mona Voelkel on Literacy Studio. 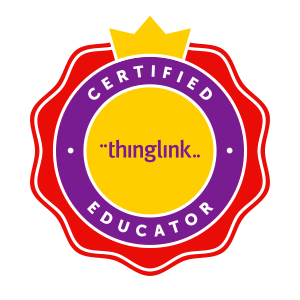 We are pleased to introduce our audience to Mona's work and excited to welcome Mona to our team of ThingLink Certified Educators. I was very excited and honored that my VR lesson was included in a “Getting Smart” article, “3 Ideas for Using Virtual Reality with Place Based Ed” by Emily Liebtag. This article touched on the use of VR before and after trips to actual destinations but the same thinking can be applied to a completely virtual learning cycle. Trips to grand locations are not always possible in reality but much can be learned by “visiting” these places virtually.